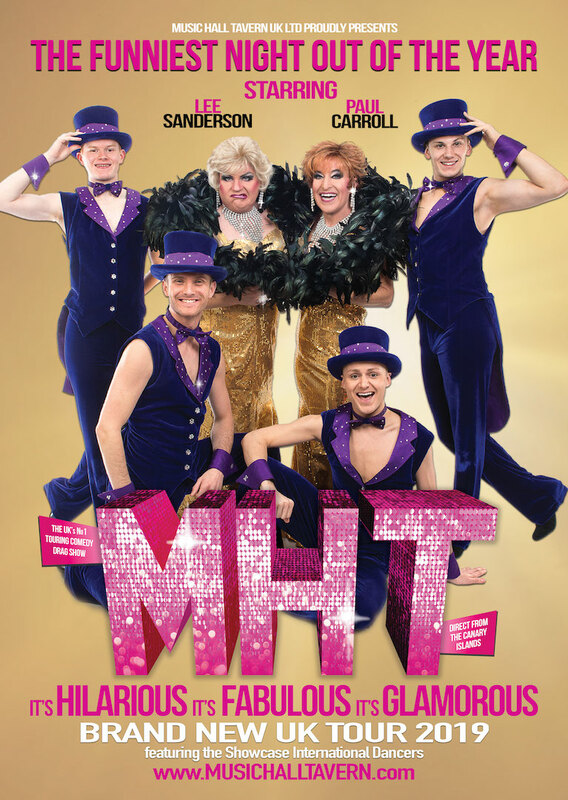 For the first time ever MHT have teamed up with M.T.V bus hire in Ireland to offer our guests a direct party transfer bus from 4 different cities in Ireland to the MHT Theatre show in Dublin on the 3rd of May 2019. Available from Cork to Dublin, Limerick to Dublin, Waterford to Dublin and Galway to Dublin. With their 20 years' experience providing a broad range of bus services to clients throughout Ireland, their buses are finished to the highest standards with DVD & Karaoke on board for a truly unique experience to and from the MHT show. The MHT - Music Hall Tavern show with Transport includes your Coach pick up and Theatre Ticket for the Helix Theatre in Dublin to see the MHT show Live on the 3rd of May 2019. The UK’s premier comedy drag show is back in Ireland for its 6th year with a brand new hilarious fabulous glamorous show for 2019 !